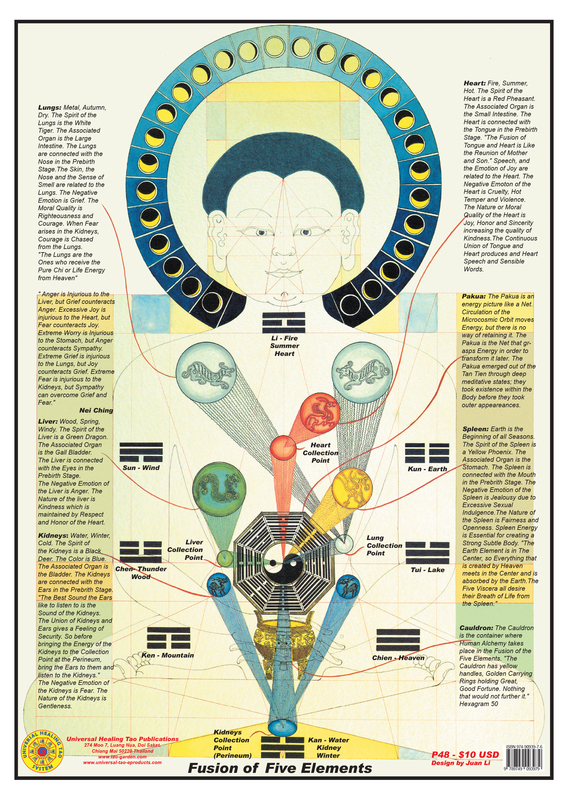 This poster illustrates the Male Body Fusion of the Five Elements with the Eight Forces and Cauldron, beautifully, beautifully illustrated by Universal Healing Tao Senior Instructor Juan Li's original meditative art drawings. We are establishing an Energetic Transformation Machine and Protection Field to balance, transform and heal our bodies internally and externally through a daily meditation practice. Once this vortex is in place the transformation will automatically happen when you encounter any imbalanced energy internally or externally and with your daily practice it will maintain its function.